The Austrian television cabaret show Das Zeitventil was produced from 1963 to 1968 by the national Austrian Broadcasting Company under the artistic direction of the cabaret artist and musician Gerhard Bronner. The show saw itself as a decidedly political cabaret and expressed in numerous sketches and chansons its critique on current political events and social developments. 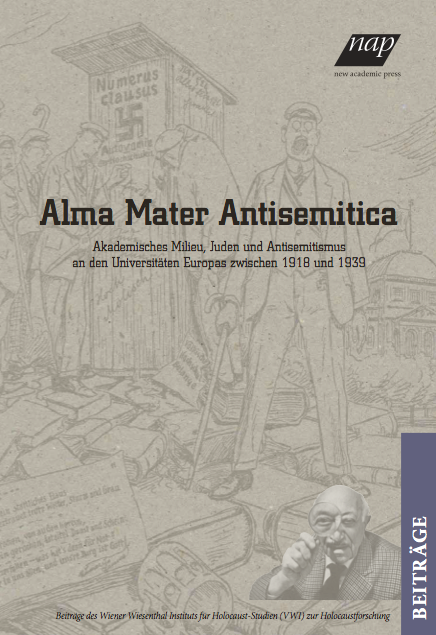 In different contexts it also dealt with the issues antisemitism, National Socialism and the Holocaust in post-Nazi Austrian society, which was very progressive and unusual during this period of time in Austria. 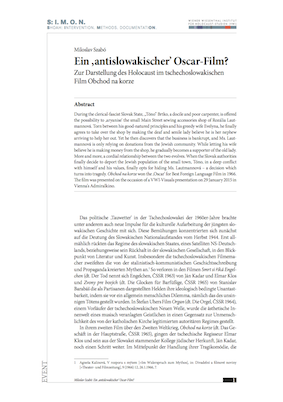 With reference to current socio-political events and media debates taboo subjects of the Second Republic were portrayed with the means of satire and parody: the failed denazification after 1945 and the consequent continuing effects of a widespread antisemitic Nazi ideology in Austria. 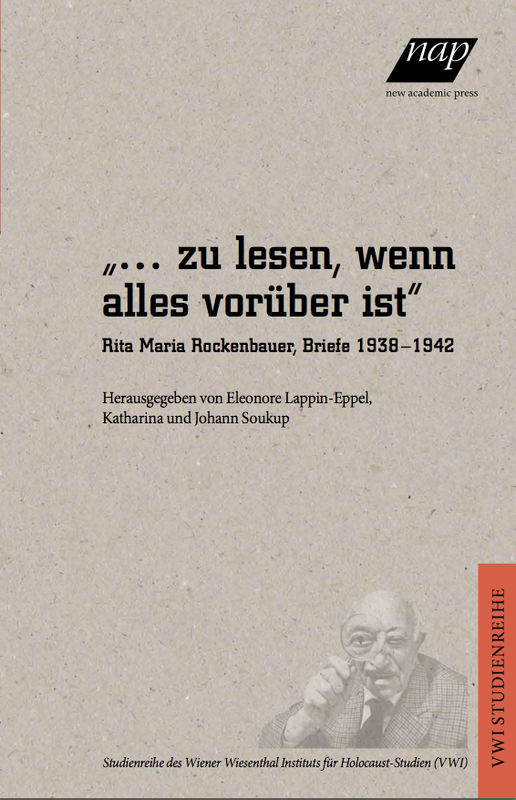 The comedians parodied politicians who advocated for the amnesty and the concerns of former Nazis, caricatured German national and antisemitic individuals and organizations, themed the failed denazification and debunked antisemitic resentments and trivialisations of the Holocaust. 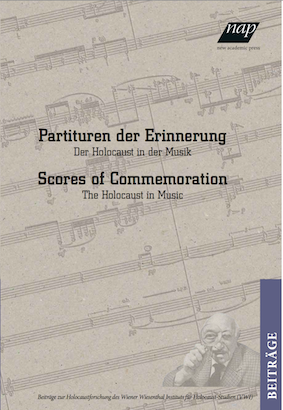 However, the focus of the cabaret was, as selected examples will show, less on a confrontation with Nazi crimes, in particular the mass murder of the European Jews, but rather in demonstrating personnel continuities of former Nazis and their unwavering Nazi sentiments. Holocaust and Genocide Studies emerged as a new discipline during the 1990s, particularly so in the Anglo-Saxon world. This development also established a new culture of remembrance and treatment of the collective past and public apologies for historical crimes. Since then, several countries have institutionalized Holocaust memorial days and similar institutions in a range of formats, several governments have apologized for historical injustices in various manners. Yet, there remains the question of a precise definition of a genocide – and in what way the term is connected to the Holocaust, the murder of the European Jews. How are these two related? What is the social function of such official or semi-official remembrances, and what is their role in society? 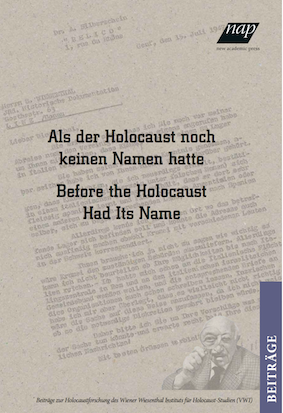 In his lecture, Dirk Moses endeavoured to clarify whether the insights gained from the history of the Holocaust and other genocides in general – namely, the imperative of 'tolerance' – really does provide an adequate answer to this challenge. 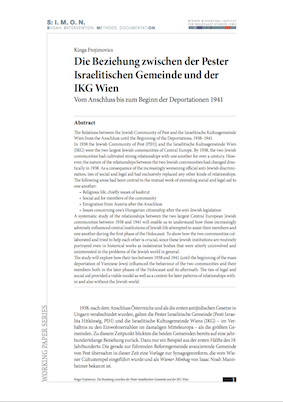 Download PDFThe Relations between the Jewish Community of Pest and the Israelitische Kultusgemeinde Wien (IKG) from the 'Anschluß' until the Beginning of the Deportations, 1938-1941 In 1938 the Jewish Community of Pest (PIH)] and the Israelitische Kultusgemeinde Wien were the two largest Jewish communities of Central Europe. By 1938, the two Jewish communities had cultivated strong relationships with one another for over a century. However, the nature of the relationships between the two Jewish communities had changed drastically in 1938. As a consequence of the increasingly worsening official anti-Jewish discrimination, ties of social and legal aid had exclusively replaced any other kinds of relationships. 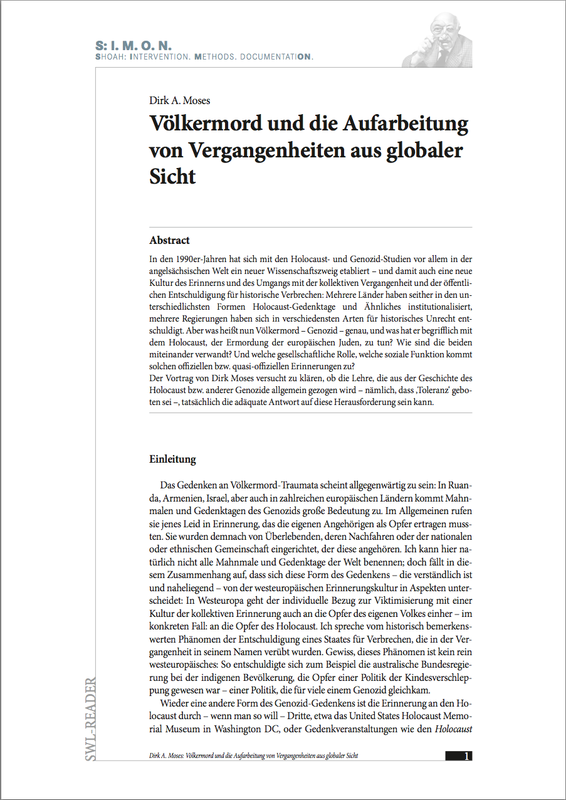 Religious life, chiefly issues of kashrut, social aid for members of the community, as well as Emigration from Austria after the 'Anschluß', and issues concerning one’s Hungarian citizenship after the anti-Jewish legislation had been central to the mutual work of extending social and legal aid to one another. 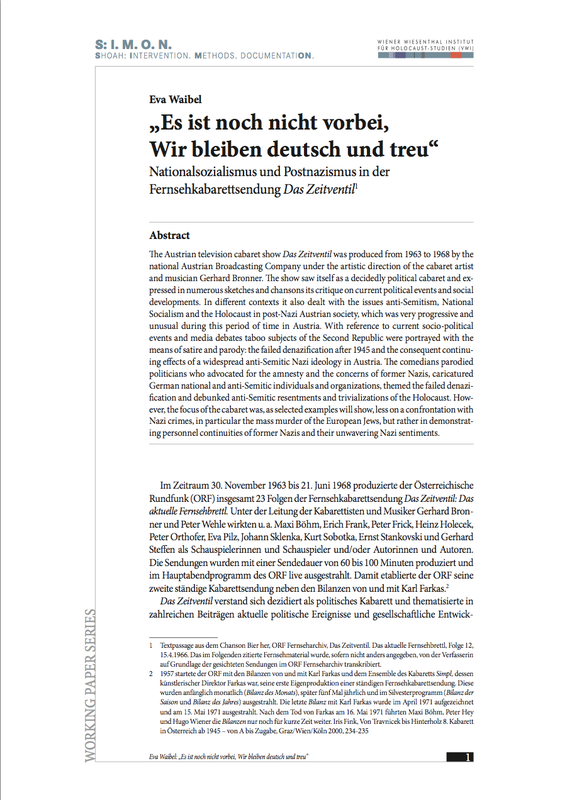 A systematic study of the relationships between the two largest Central European Jewish communities between 1938 and 1941 will enable us to understand how these increasingly adversely influenced central institutions of Jewish life attempted to assist their members and one another during the first phase of the Holocaust. 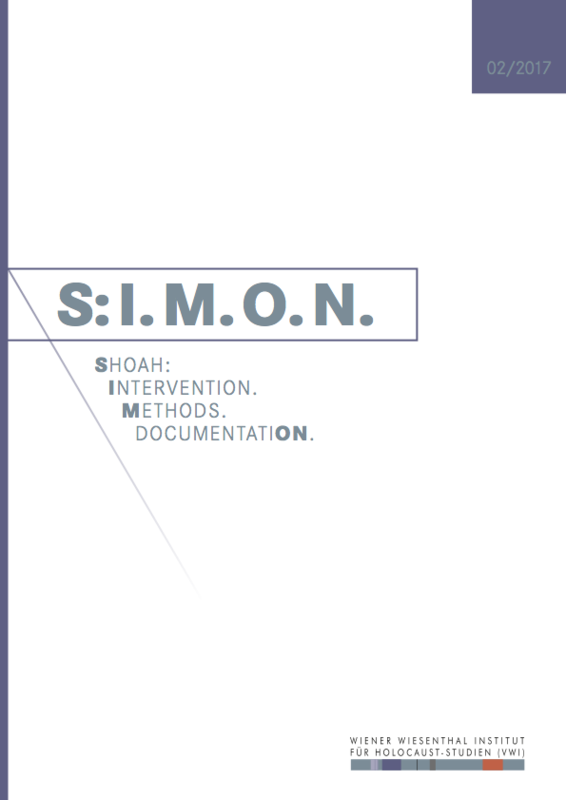 To show how the two communities collaborated and tried to help each other is crucial, since these Jewish institutions are routinely portrayed even in historical works as isolationist bodies that were utterly uninvolved and uninterested in the problems of the Jewish world in general. 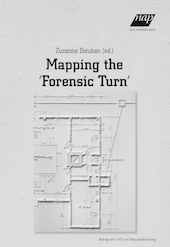 The study will explore how their ties between 1938 and 1941 (until the beginning of the mass deportation of Viennese Jews) influenced the behaviour of the two communities and their members both in the later phases of the Holocaust and its aftermath. The ties of legal and social aid provided a viable model as well as a context for later patterns of relationships within and also without the Jewish world.